Skype is the perfect online communication tool for business personal needs, helping you to stay in touch with friends and coworkers, no matter where they are. Particularly valuable are the video calls that let you actually see the person you’re talking to. 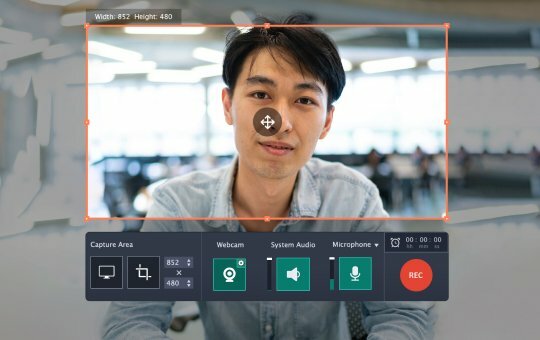 If you want to save video chats, online interviews, or conferences on your computer for future reference, you need powerful recording software. Try using Movavi Screen Recorder! With this program, you can not only record Skype meetings and calls, but also capture any other screen activities. 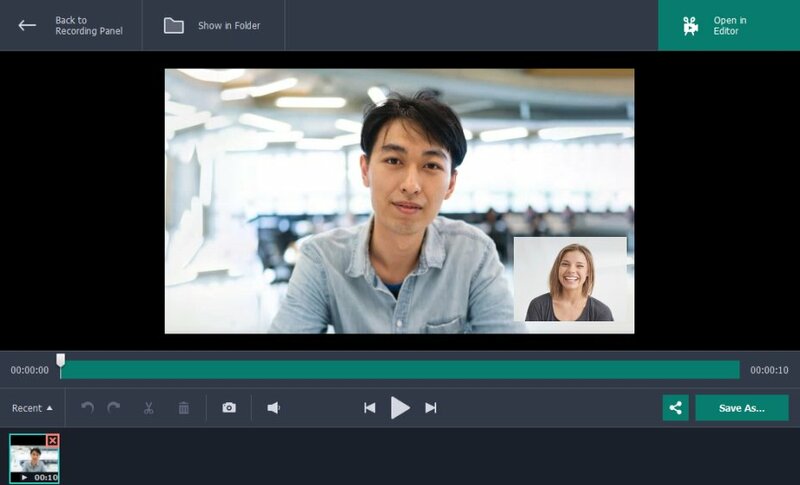 To capture a Skype call, launch Movavi Screen Recorder. Position the recording frame over the Skype window, and click the REC button to start capturing your call. When the call is over, click the Stop button. 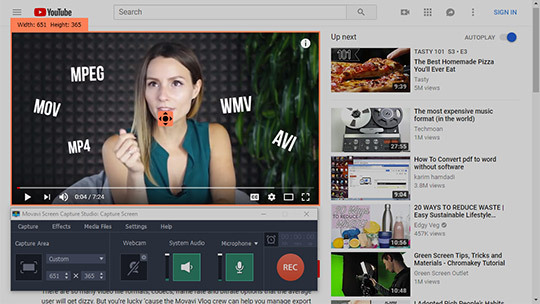 Your recording will automatically be saved on your computer. Read the step-by-step guide below to learn how to record Skype calls in the best way. You can download the app and start capturing the screen right now! DownloadDownload the program from our website. Open the downloaded file and install the video call recorder by following the on-screen instructions. Launch the Skype video recorder. Position the recording frame over the Skype window. You can also manually draw a frame over the area you want to capture. If you want to record your Skype call in full-screen mode (in HD), click the Monitor icon in the Capture Area. Make sure the System Audio and Microphone icons are highlighted in green. This tells you that the program will record both the sound of your voice and the voice of the other party in the conversation. To choose an audio input device, open the list above the Microphone icon and choose the appropriate device from the list. To record a Skype call, click the REC button. 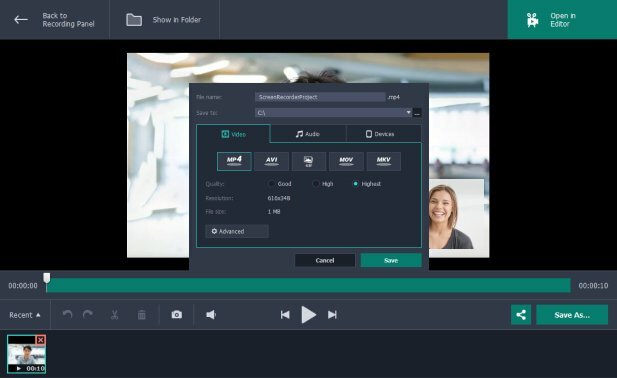 You can control the recording process by clicking on the Cancel, Pause or Stop buttons in the program interface or using the compact control bar on top of the capture frame. You can also use the hotkeys: if you have Windows, press F9 to pause/resume recording and F10 to end the capture process. On a Mac, press ⌥ ⌘ 1 and ⌥ ⌘ 2 respectively. As soon as the recording stops, your video will be automatically saved in MKV format and opened in the preview window. You can also use the Movavi recording software as an MP3 Skype recorder. 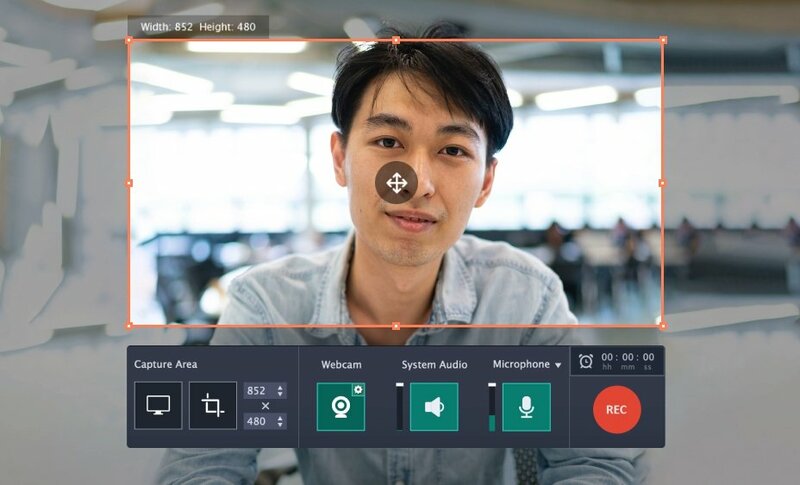 If you need to record a Skype audio only, just capture your call as described above and convert the file to MP3 format as described in the next step. If you want to cut out unnecessary sections, position the marker at the beginning of the unwanted part of the video and click the Scissors button, then do the same at the end of the unwanted segment. Select the fragment you want to remove and click the Trash Can button. Click Save As to continue. 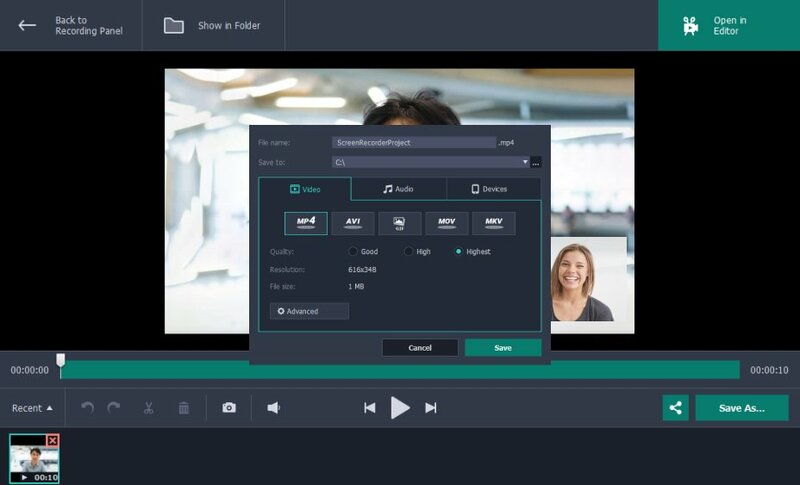 To choose a format for your recorded video, select one of the formats listed on the Video tab. To save your recording as an audio file, open the Audio tab and choose MP3. Finally, click the Save button. That’s it! Now you know how to record Skype video calls. 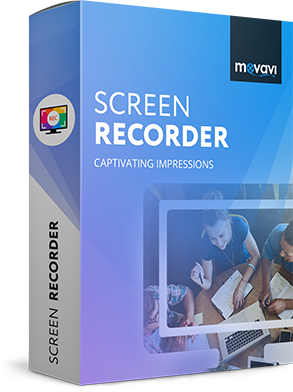 PC version of Movavi Screen Recorder is compatible with Windows XP and Vista, as well as Windows 7, Windows 8, and Windows 10. Mac version is compatible with Mac OS X 10.7 or higher. How to record Skype calls on Mac? 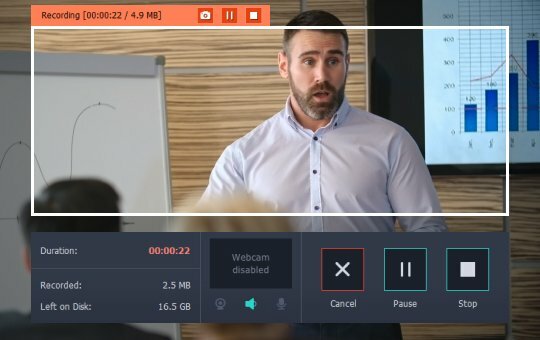 How to capture video from website?